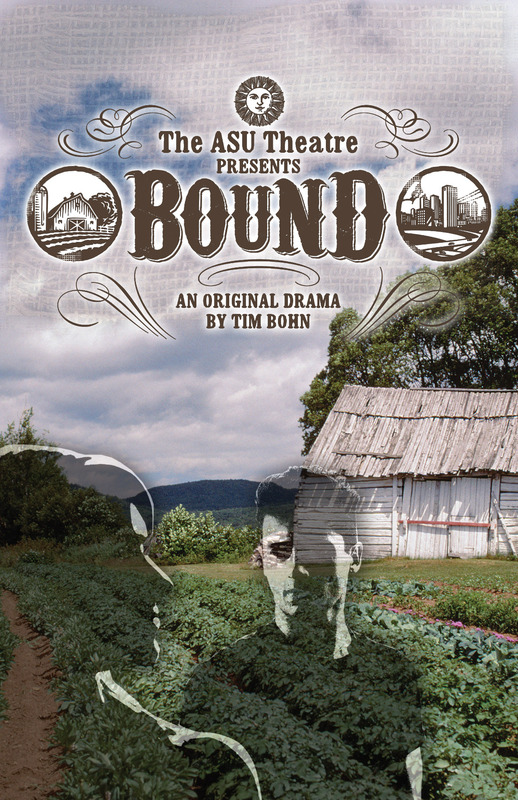 August 18, 2009 -- The ASU Theatre announces the cast of its opening drama of the 2009-2010 season with the premiere production of “Bound” by ASU professor of Theatre Tim Bohn, on Friday-Saturday, Oct. 2-3, at 7:30 p.m. A “meet the company” dessert reception will follow the Oct. 2 opening night performance. Additional performances will be Tuesday-Wednesday, Oct. 6-7, at 7:30 p.m. All performances will take place in Fowler Center, 201 Olympic Drive, Jonesboro. “Bound,” an original drama, concerns an accident that leaves a brother and sister without parents and suddenly responsible for the family farm and for the care of their autistic brother. Their plan to take turns attending college is shaken when the older brother graduates and sees what his life will become when his sister leaves for her turn. Both siblings are bound by their duty to their family and pulled by their need for a life outside of their family farm and their small town. 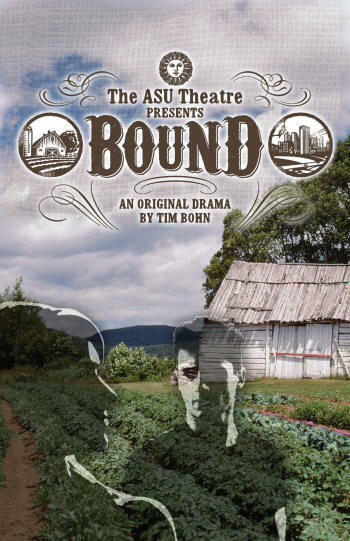 The ASU Theatre’s production of “Bound” is under the stage direction of Tim Bohn, dramatist and assistant professor of Theatre. Scenic and lighting design will be under the direction of Jeff McLaughlin, assistant professor of Theatre. Brent Foland, assistant professor of Theatre, will serve as costume designer. Stage management duties for the production have been assigned to Joe Akers, a senior theatre major from Wynne. Meredith Hendrix, a junior theatre major from Jonesboro, will serve as assistant stage manager. The cast includes Rob Spencer, a senior theatre major from Leachville, as Walter; Cesiley Sullivan, a sophomore theatre major from Cabot, as Anne; Donnie Walters, a senior theatre major from Trumann, as Danny; and Drew Bradbury, a freshman theatre major from Hot Springs, as Simon. All seating is reserved, and tickets for reserved seating may be purchased in advance at the ASU Central Box Office in the Convocation Center or by calling 972-ASU1. Tickets are also available online at http://www2.astate.edu/tickets/--click the ticket icon or the tickets tab in the menu bar. Reserved seating tickets (if available) may be purchased at the door on the evening of the performance. Ticket prices for ASU Theatre’s 2009-10 season performances are $10 in advance and $8 at the door. Purchasing tickets in advance is highly recommended. Children younger than six years old are not admitted to the ASU Theatre. Please arrive early; latecomers will not be seated until intermission. This play contains adult language and subject matter.